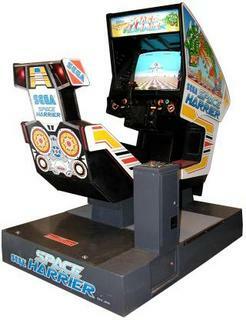 i don´t remember the name of the game..but it was from sega (pretty sure of that) anyway the game was an on rails shooter about flying around in a helicopter and shooting some terrorists..what made the cabinet great was that it had a BIG screen and big guns that rattled like crazy when shooting from them. 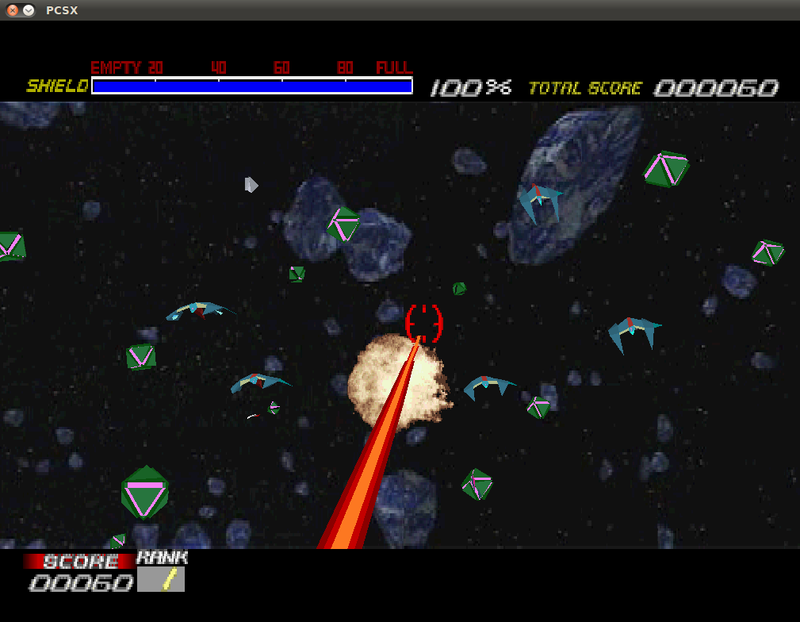 arion wrote: i don´t remember the name of the game..but it was from sega (pretty sure of that) anyway the game was an on rails shooter about flying around in a helicopter and shooting some terrorists..what made the cabinet great was that it had a BIG screen and big guns that rattled like crazy when shooting from them. Easy one: Discs of Tron environmental. 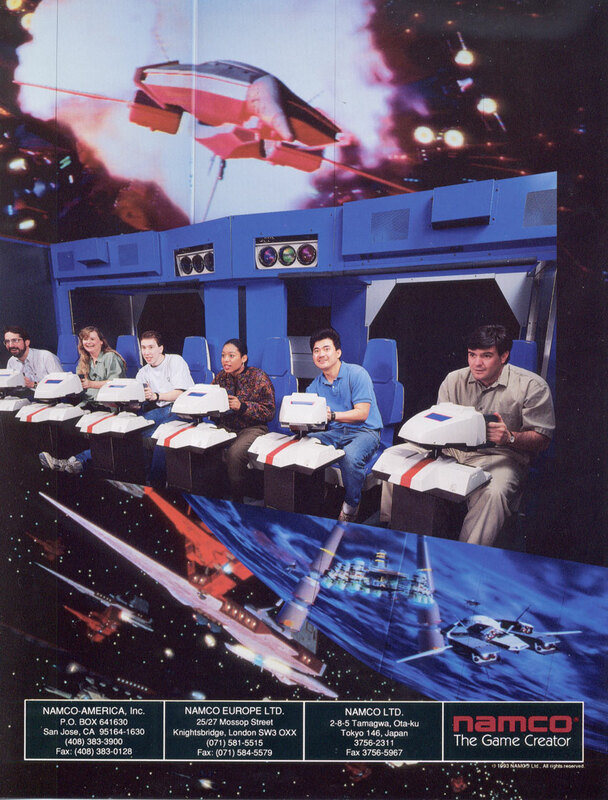 http://www.klov.com/D/Discs_Of_Tron.html -- the pictures do not recreate the immersive experience. There are several cabinets I enjoyed growing up. I can't really pick one though. I love playing House of The Dead, Time Crisis 2, Gun Blade NY, and the Neo Geo (espacially Metal Slug). Those were some fond memories. To bad arcades starting going out of business when I was a kid. Woo, thread from the dead! I liked a lot of the old cabinets where you not only sat down, but in so you were essentially in a cockpit. I played an Omega Race cab a lot when I was little. The Star Wars sit down cab was pretty cool too. Compared to many motion control units, this setup really "rocks" kicking the chair around as you bump the Flightstick style contoller. Imagine this motion chair synced with current Flight Simulators! Last edited by CRTGAMER on Sat Nov 26, 2016 5:34 pm, edited 2 times in total. Oh here's another, I got to try this one out years ago. Took up half of the Arcade in its own theater room. Study the first picture. Before scrolling down, any guesses? 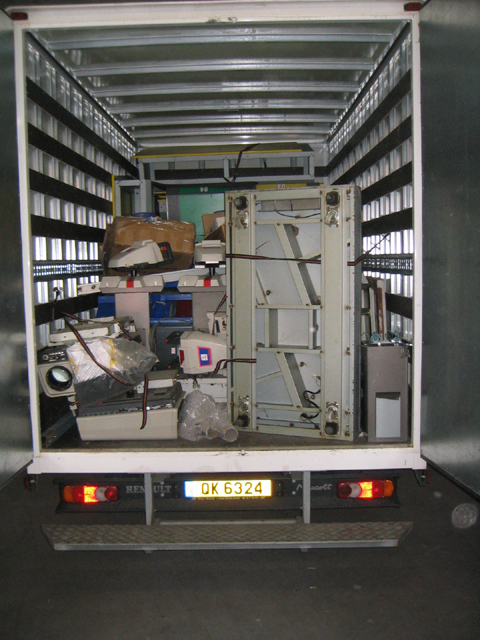 The 6 Seater - See link below at System 16 to see how big it is. 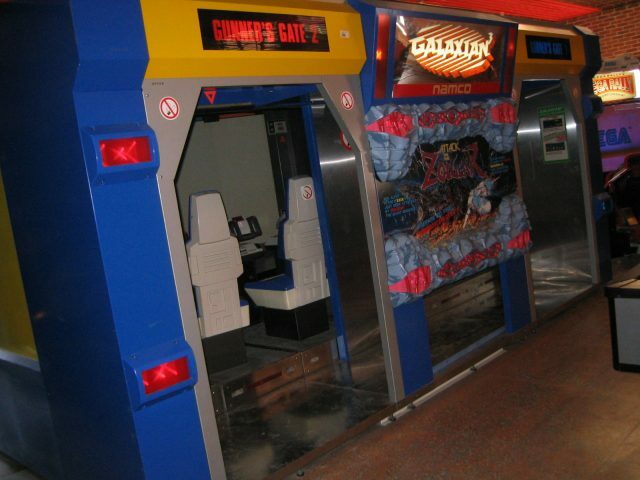 For a smaller "Home Theater", Galaxian 3 is also available for the home screen, works great with PS1 Mouse or Nyco Trakball. 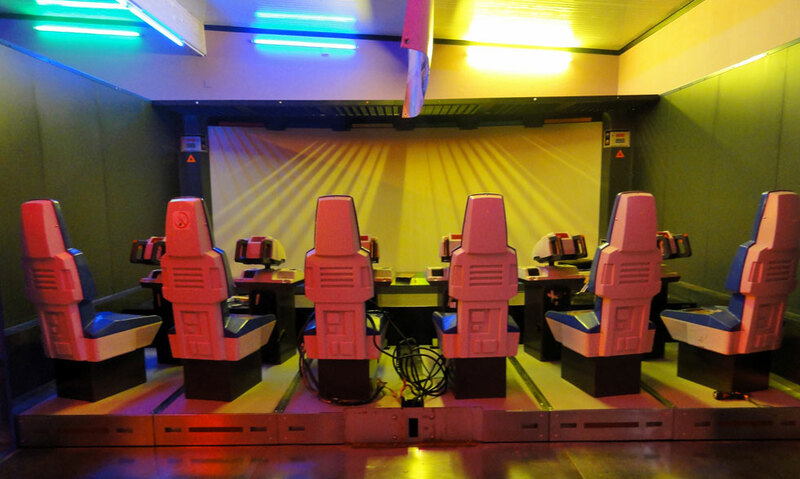 Galaxian 3 Arcade could be classified as a mini interactive theater! Last edited by CRTGAMER on Sun Nov 27, 2016 11:30 am, edited 12 times in total.